We offer three unique types of Mobile Alarm Systems – so there’s sure to be one that suits you. 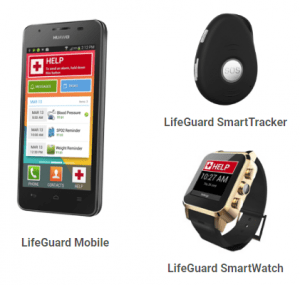 Remain independent; free to go wherever you like, and do the things you love, without causing your loved ones to worry with a Mobile Alarm System from INS LifeGuard. With the press of a button, you’re in contact with an experienced nurse – wherever you are. That’s unique to INS LifeGuard! Unlike systems that depend on a friend or family member being available when you need help, our systems send an alarm through to a nurse in our 24/7 Emergency Response Centre – so help is always available. The nurse can speak with you via speakerphone and assess the situation. The built-in GPS locator ensures we’ll be able to locate you in an emergency and send help at once – even if you’re not able to respond. Simply download our app for your existing Android compatible phone and you’ve got all the features of our standard emergency alarm system even when you’re not at home. For a limited time new LifeGuard Mobile customers can get a one month free trial, as well as reduced establishment and monthly monitoring fees (for the first 12 months). From just $8 per month, you can feel safe and secure knowing you can take your alarm system with you wherever you go. Available 1st December, this device is perfect for seniors who like to be independent and active, and is also useful for child safety. It is a stylish pendant that works using the same cellular phone technology as a mobile phone, but without the complicated features. Simply press a button to send an alarm to a nurse in our 24/7 Emergency Response Centre. It also functions as a fall detector, and has a docking station for easy charging. The very latest in wearable technology. More than just a watch, this device is also a mobile alarm, GPS tracker/locator, and even functions as a mobile phone. Click here to download a flyer for more information on our mobile alarm systems.